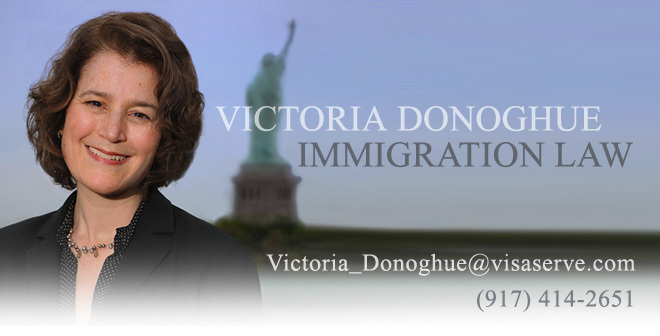 Victoria Donoghue Immigration Law: Is ICE Unwittingly Sending Jobs Oversees? Is ICE Unwittingly Sending Jobs Oversees? As was widely publicized, Immigration Customs and Enforcement (ICE) issued 650 I-9 audits nation wide in July 2009. These audits were aimed at enforcing IRCA (Immigration Reform and Control Act of 1986) by rooting out authorized workers from the nation's workforce. In some cases, the subjects of these audits were garment manufacturers. Work in this sector has historically been done by immigrants. While ICE was successful in eliminating undocumented workers, they often left the manufacturers with many fewer workers. In a down economy, with few orders to fill, this has been managable for the employers. However, we have learned anecdotaly that for those lucky enough to have orders to fill, it has been impossible to find individuals authorized to work. In fact, desperate employers indicate that they can't even find undocumented workers. Clearly, employers wishing to continue operation under these circumstances will have to consider sending the work oversees. One has to wonder whether this is a desired result of the ICE audits.